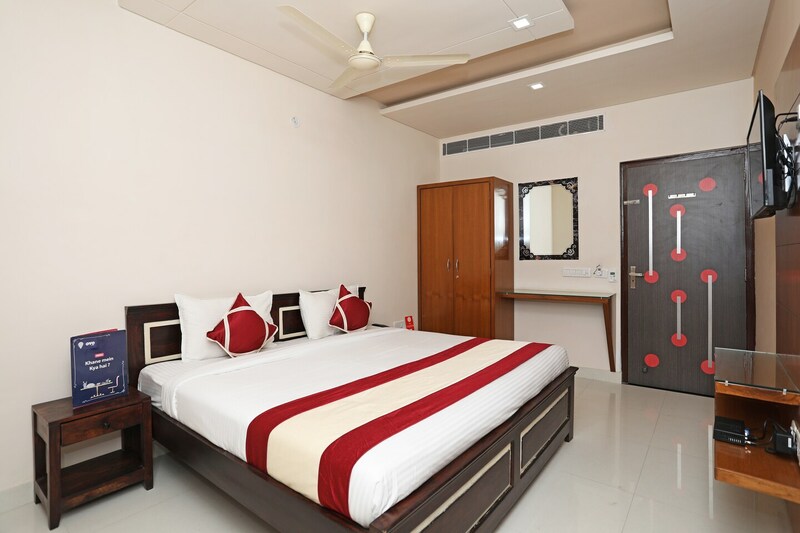 Hotel Gurukripa offers elegantly decorated rooms that exude a soothing feeling. The rooms have been painted in some pleasant hues. The rooms are quite spacious and well-furnished. A lot of wood work is involved in the interior decor and enhances the classy ambience. The additional facilities available at the hotel are free Wi-Fi, a power backup source, parking provisions, card payment in all forms, and CCTV cameras. There is a banquet hall within the hotel which can be used by the guests for any special occasion. The front desk service has been decorated elegantly and is surrounded by a well-furnished reception. All the facilities provided by the hotel create an unforgettable stay experience.